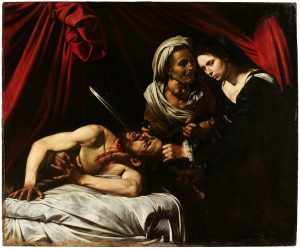 A long lost painting by Caravaggio – Judith and Holofernes – discovered by the auctioneer Marc Labarbe five years ago in an attic in Toulouse, France is be sold at auction next June 27 in Toulouse. Estimated at 100-150 million euro it will be sold by Labarbe in collaboration with the art appraisal firm Cabinet Turquin. The dilemma is that the case for it is compelling, not categoric. 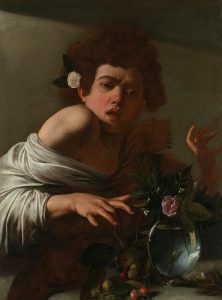 The Louvre, which has three Caravaggios and an acquisition budget that is not bottomless, decided not to buy it. In 2014 Marc Labarbe, the Toulouse-based auctioneer, received a call from a client in Toulouse. While clearing out the attic, the client had discovered a painting belonging to his family. Labarbe quickly recognized it as an important 17th century Italian work. He called on the art appraiser Eric Turquin, expert in Old Master paintings. Together with his team the painting was researched for two years. All the experts recognised it as a major work. The French Ministry of Culture classified it as a National Treasure, which prevented it from being taken out of the country for a period of 30 months. This deadline expired December 24, 2018. The painting depicts the biblical story of Judith, a young widow in the city of Bethulia who puts an end to the Assyrian siege on her city by seducing and beheading the general Holofernes. Looking on is her elderly servant, Abra. The family that owns it has lived in Toulouse for decades and descends from a Napoleonic officer who participated in the Spanish campaign from 1808 to 1814. Forty years ago, the heirs sold another famous painting that dated from the Spanish Golden Age. There are 68 known paintings by Caravaggio, only four of which are in private hands. Marc Labarbe is known for having discovered in 2011 a Chinese imperial scroll that sold for €22 million. This is the highest price ever fetched at auction for an Imperial Chinese painting. The auction is to be conducted by Maison de Ventes Marc Labarbe ­ in Toulouse in collaboration with Cabinet d’Expertises Turquin. The first of two of this years highly anticipated exhibitions at the National Gallery of Ireland – which amounts to an embarrassment of riches by Caravaggio and Vermeer – opens today in Dublin. Beyond Caravaggio brings together over 40 works including four by Caravaggio as well as significant works by those artists he influenced. It runs from today until May 14. It will be followed in June by a show which will bring together 60 paintings from around the world, including no less than ten by Vermeer. This represents almost a third of his surviving oeuvre. Vermeer and the Masters of Genre Painting: Inspiration and Rivalry will include work by Gabriel Metsu, Jan Steen, Gerard ter Borch, Pieter de Hooch and Frans van Mieris. Organised by the National Gallery in conjunction with the Louvre and the National Gallery of Art in Washington it will run from June 17 to September 17. 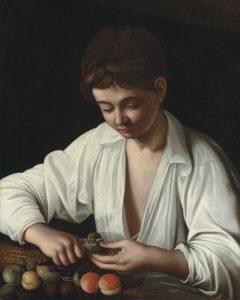 Never before seen in Ireland works by Caravaggio will feature at an upcoming exhibition at the National Gallery in Dublin Beyond Caravaggio, which runs from February 11 to May 14, will feature two works by the artist which have not been seen here before – Boy Bitten by a Lizard from the collection of the National Gallery in London and Boy Peeling Fruit from the Royal Collection in the UK. The other works by the artist in the show are The Supper at Emmaus from the National Gallery in London and The Taking of Christ from the collection of Ireland’s National Gallery. 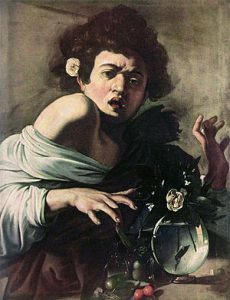 With his dramatic use of light and uncompromising realism Caravaggio is acknowledged as bringing a revolution to painting during the Baroque period. This exhibition features over 40 works which show how he influenced other artists. These include Valentin de Boulogne’s Concert with Three Figures, Georges de La Tour’s Dice Players and Nicolas Regnier’s St. Sebastian being tended by St. Irene. Many works in this show – a collaboration between the National Galleries of Ireland, London and Scotland – are on loan from private collections and regional galleries. Michelangelo Merisi da Caravaggio (1571-1610) – Boy Peeling Fruit. Michelangelo Merisi da Caravaggio (1571-1610) – Boy Bitten by a Lizard. IS IT OR IS IT NOT BY CARAVAGGIO? Is it is or is it not by Caravaggio? Amid expert disagreement over whether a painting found in an attic near Toulouse is a Caravaggio, France has placed an export ban on the work for 30 months so it can be studied in depth. It was found in an attic in April 2014 when the owners of a house went to fix a leak. 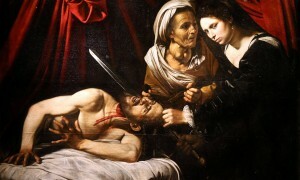 It is a painting of the beheading of Holofernes by Judith from the Book of Judith. Another version of the work, discovered in 1950, is at Rome’s National Gallery of Ancient Art. If it does turn out be to by Caravaggio the 400 year old canvas could be worth as much as 120 million euro. 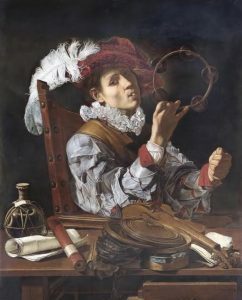 But it might be by the Flemish artist Louis Finson who was familiar with Caravaggio. It is currently being studied at the Louvre. When The Taking of Christ by Caravaggio was discovered in Ireland in 1990 it was authenticated relatively quickly. The provenance of the work, now in the National Gallery in Dublin, was painstakingly unearthed and traced back to Rome via Scotland.